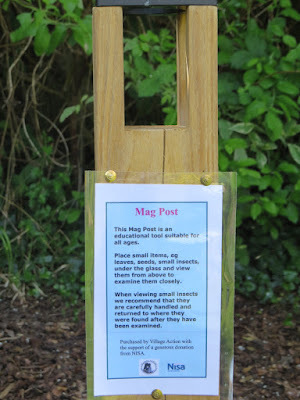 We recently installed a "Mag Post" at the Brockeridge Centre Sensory Garden. This is a 5* magnifying glass mounted on a hardware post which enables children to look in detail at plants or small insects. The post was purchased with the help of a generous donation from NISA stores in Woodend Road.